Alongside Netflix, Hulu has been dominating the streaming industry due to its massive library of on-demand content. Hulu closed out 2017 with over 17 million subscribers, a 40% increase from 2016. This includes subscribers to their normal on-demand service as well as their cable alternative called Hulu with Live TV. Of the 17 million, approximately 450,000 of them were using the Live TV package as a way to watch their favorite live channels without cable. Hulu’s claim to fame has always been their on-demand content. For $7.99 a month, subscribers get access to thousands of episodes of their favorite shows a day or two after they air live. Although a fantastic option for some shows if you don’t mind waiting, not everything is added to their on-demand library. With the success of Sling TV, DirecTV Now, PlayStation Vue and the handful of other streaming services, Hulu decided to step into the cord cutting ring. Their cleverly named service, Hulu with Live TV, costs $38.99 a month and comes with over 55 live cable channels including local stations. If you are already a subscriber to their on-demand service, you can add on the live package for only $32 more per month bringing the total price for both to $39.99 per month. Hulu with Live TV loses some of the channels that come with an expensive cable package, but makes up for it in cost. Not only is the package much cheaper, you also save a lot of money by not needing to rent hardware or terminating a contract. Being a month to month service, you can cancel your Hulu with Live TV subscription at any time and not suffer any financial consequences. What do I need for Hulu with Live TV? Unlike some of its competitors, Hulu’s live channels come in a “one size fits all” package. It’s similar to YouTube TV in that the channel lineup only changes based on your location. The image below shows the current channel lineup for our Boston office. Your local channel availability might be slightly different, so make sure to check out the lineup for you location on Hulu’s site. Hulu boasts some of the best local station support out of all the streaming services. Having the four major broadcast networks in addition to the ESPN suite makes it a fantastic option for sports fans. Hulu is particularly good for baseball and was our top pick for best ways to watch MLB without cable. Even if you’re not looking for sports in particular, Hulu has a great channel lineup. The Food Network, HGTV, A&E, and the Disney channels are a few of the channels that people ask us how to watch without cable the most often and are supported by Hulu. ***HBO is currently available on Hulu for only $5 a month. It’s the cheapest available way to watch HBO without cable, even if you don’t have a Hulu account yet. Typically HBO is $15 even if you purchase it directly from HBO. A standard on-demand Hulu account costs $7.99 plus $5 for HBO means you can get it for $12.99 a month. This offer won’t last forever and will increase to $15 per month once the sale ends. If you already have a Hulu account, you might be familiar with the different devices that support the service. You always have the option to watch Hulu with Live TV on your mobile device or tablet, but if you want to watch your shows on a larger screen, you’ll need some help. 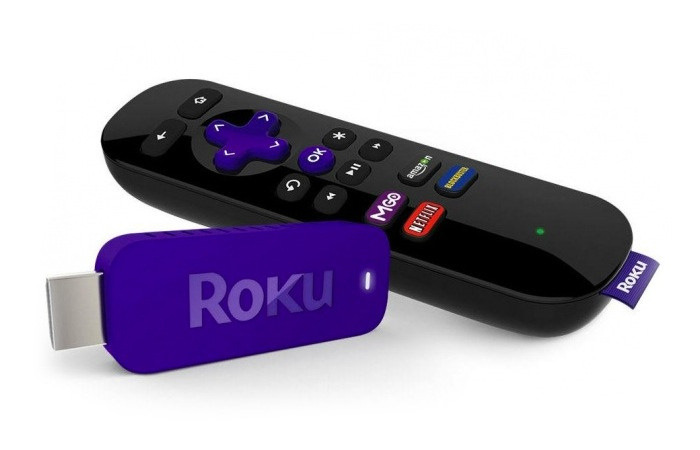 Whenever we recommend a streaming device to our readers, our “go-to” is typically a Roku. Not only are they some of the least expensive streaming devices, they are reliable, powerful, and extremely intuitive. They come in a variety of models that range from their basic $29.99 Roku Express to the $89.99 Roku Ultra. If you’re looking for a cheap way to cut the cord and don’t need 4K support, a Roku Express is plenty. However, for about $10 more you can get the Streaming Stick instead. The Streaming Stick that includes voice capabilities on its remote, improved Wi-Fi, and has a smaller profile that allows it to hide behind your TV better than the Roku Express. Keep in mind that you will need a device for each TV you want to watch Hulu on. If you have a main TV media center and a few secondary bedroom TVs, a Roku Ultra and a few Expresses cost a little bit up front, but saves a lot of money over time compared to an expensive cable box rental. Hulu with Live TV can only be streamed on two TVs at the same time though. Unless you’re willing to spend an extra $14.99 a month for unlimited screens, keep this in mind. All LG TVs that run WebOS 3.5 or higher. This excludes B6, UH6350, UH6330, as well as the UH77, UH766, and UH61 series. All Samsung TVs made from 2017 or later can run the Hulu application. Many Samsung TVs made before 2017 can Hulu, just not the Live TV package. There are numerous other smart TV brands that can run Hulu. Before you purchase the service, navigate to the TVs web store and try and download the Hulu app. If you can download and run it, the TV should support it and you won’t need an additional device. If you don’t own a supported Smart TV and would prefer to use something different than a Roku, Hulu with Live TV is supported by a lot of other devices. Each device comes in a few different models and each has its pros and cons. We’ve linked our review articles for each device supported by Hulu with Live TV to try and make your decision easier. Hulu with Live TV didn’t have a particularly good showing for its first year of service. If you watched the Super Bowl 2018 on Hulu, there’s a chance it completely ruined your faith in streaming sports altogether. The game cut out in the critical final minutes while the Patriots were fighting to get back into it against the Eagles. Although you didn’t miss another Patriot’s comeback story, stream reliability isn’t something you should have to worry about. Although they fixed the technical error, major glitches that require resets during critical moments of games can make the service almost completely unwatchable. Sling TV, YouTube TV, and DirecTV Now all streamed the game fine with only a few extremely minor errors. This one time event doesn’t entirely ruin the service, as even PlayStation Vue encountered an error during the game. Hulu’s response and immediate fix of the service isn’t out of the ordinary for the company. Even though they are one of the biggest names in streaming media, Hulu has been exceptionally good at responding to customer feedback. The best example of this is their recently added TV guide. Hulu faces a unique problem in streaming live TV that its competitors don’t have to worry about. The problem is having to mesh their live service with their already established on-demand library. From its launch, Hulu with Live TV subscribers had issues navigating the live channels and differentiating between live and on-demand. If a show is currently broadcast live but also in syndication, things became tricky. They initially tried to solve this with “live content badges” to note if the content was live or not, but customers continued to ask for a gridded TV guide similar to what they had with cable. 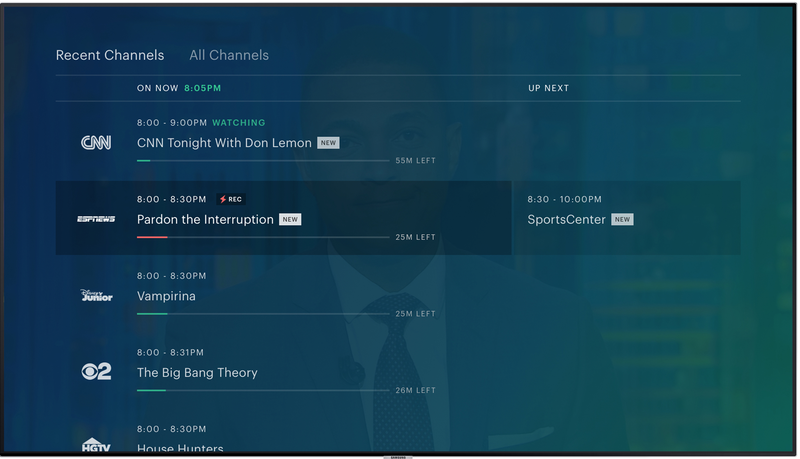 On May 9th, 2018 Hulu launched its gridded live TV guide that they had been testing in beta. It has been incredibly well received and has drastically improved navigation of the live content. Hopefully Hulu continues with the trend of responding to customers and the service keeps getting better. One of the biggest benefits of Hulu over its competitors is its on-demand library. There are plenty of cord-cutters who use Sling TV or DirecTV Now and also pay for Hulu solely for on-demand content. Rather than pay for both services, if the Hulu with Live TV channel lineup fits your needs as well as one of the others, you can get the on-demand library for only one dollar more. The $6 a month you save on Hulu can get you HBO with money to spare!